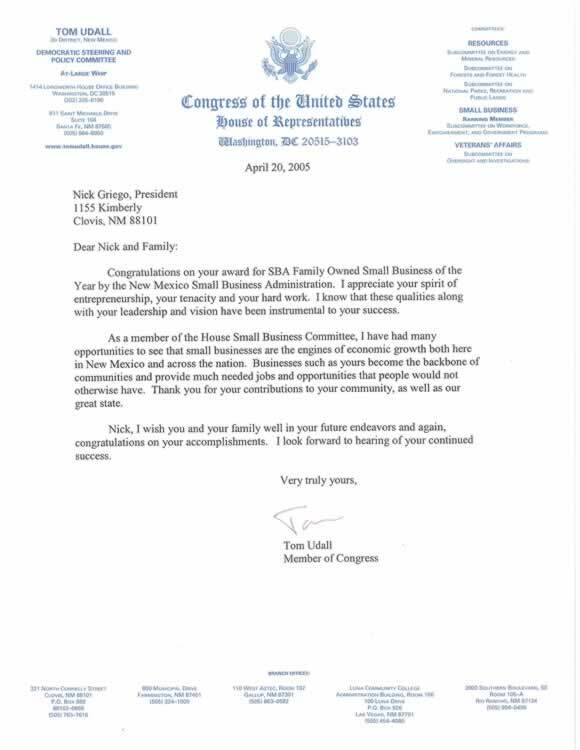 Nick Griego & Sons Construction Inc. is a small construction company that was started by our family. 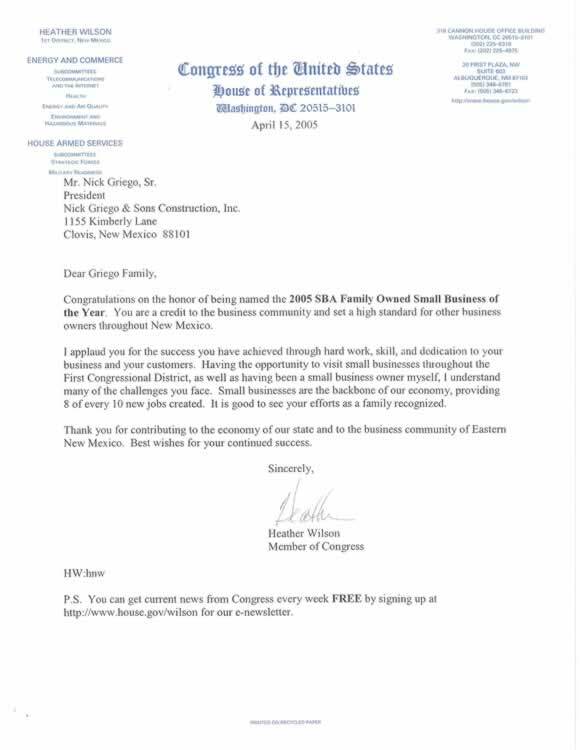 The company has successfully operated in Eastern New Mexico for the past 39 years working on both small and large scale construction, ranging from $200.00 dollars in project size to over $7,000,000.00 in the commercial arena. 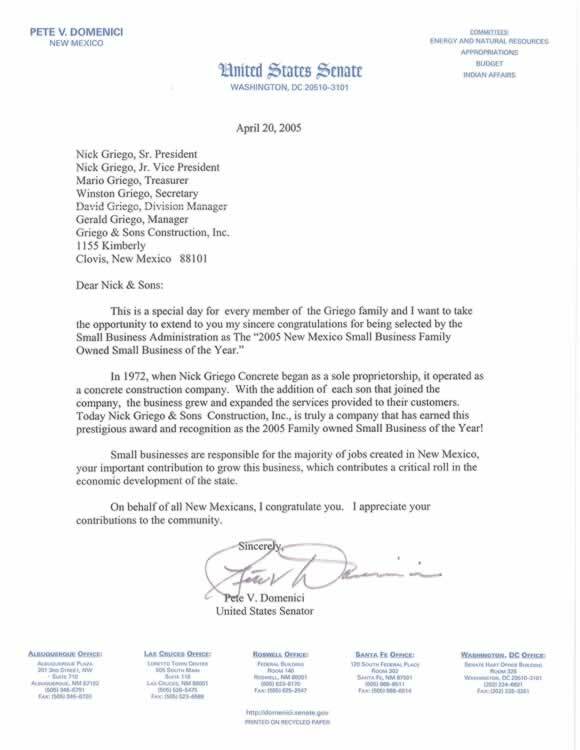 Clovis based Nick Griego & Sons Construction Inc. began in 1971 when Nick Griego Sr. began his own concrete company. 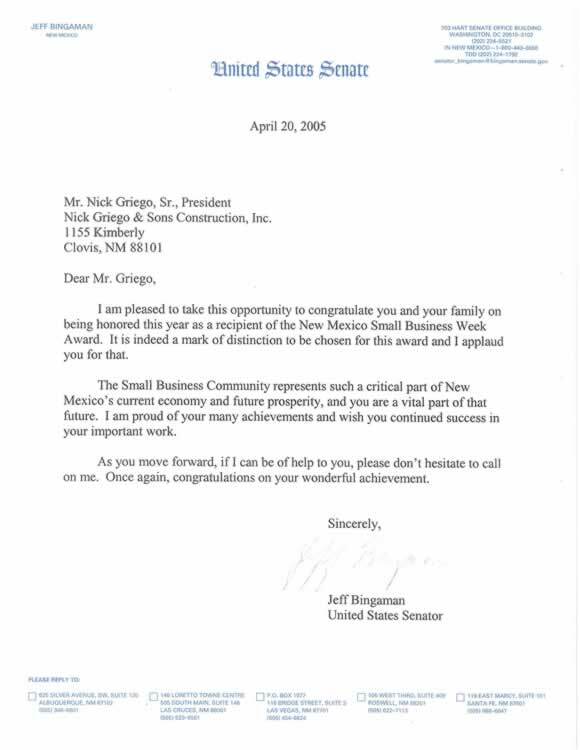 In 1989 Nick Griego Jr. and Winston Griego obtained the NM GB98 license and started to build residential housing. 1994 was the year we really diversified by becoming a Concrete Ready Mix Supplier to the Eastern New Mexico area. 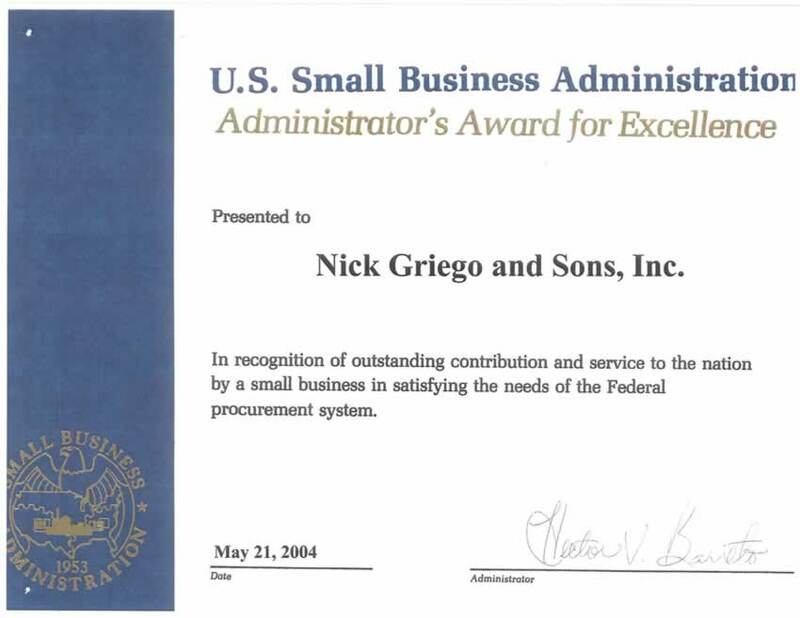 In 2004 Nick Griego & Sons Construction, Inc. made the decision to purchase an aggregate pit to better serve our customer base by controlling our raw material costs. 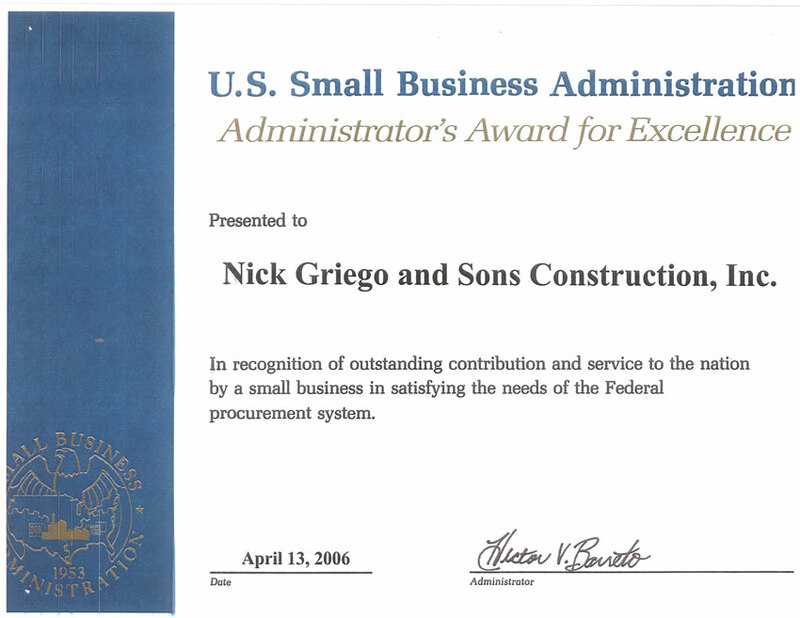 Nick Griego & Sons Construction, Inc. has added Brick, Block and Stone as one of our many products in 2009. 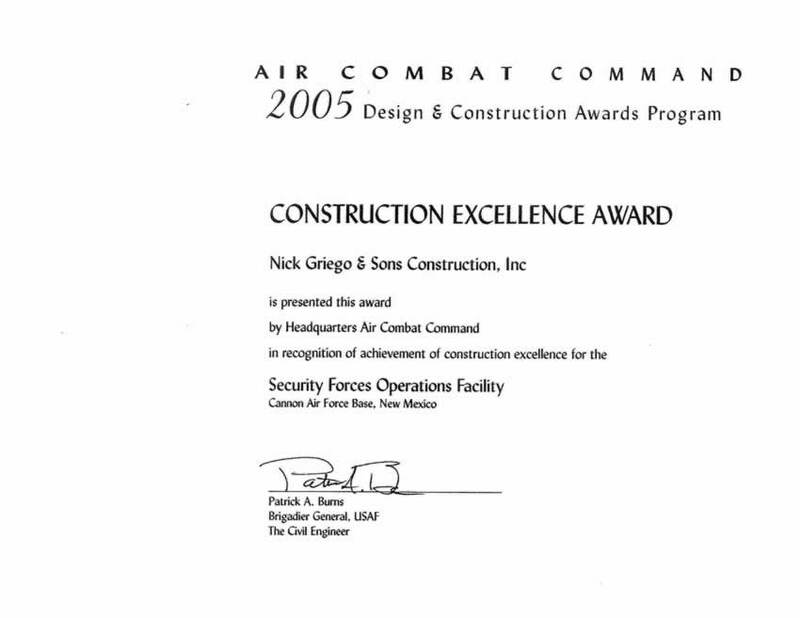 Nick Griego & Sons Construction Inc. strives to offer the finest quality design, site preparation, cost estimates, construction, repair, and alteration to clients needing small and large scale construction services, whether it be office buildings, warehouses, large apartment complexes, public works, etc. 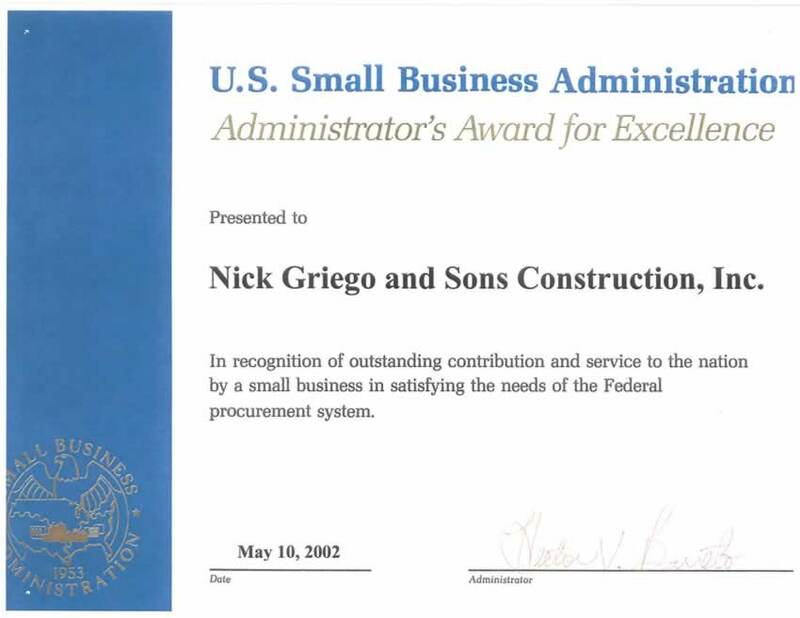 Nick Griego & Sons Construction Inc. maintains the highest standards of service in the commercial and residential construction industry. 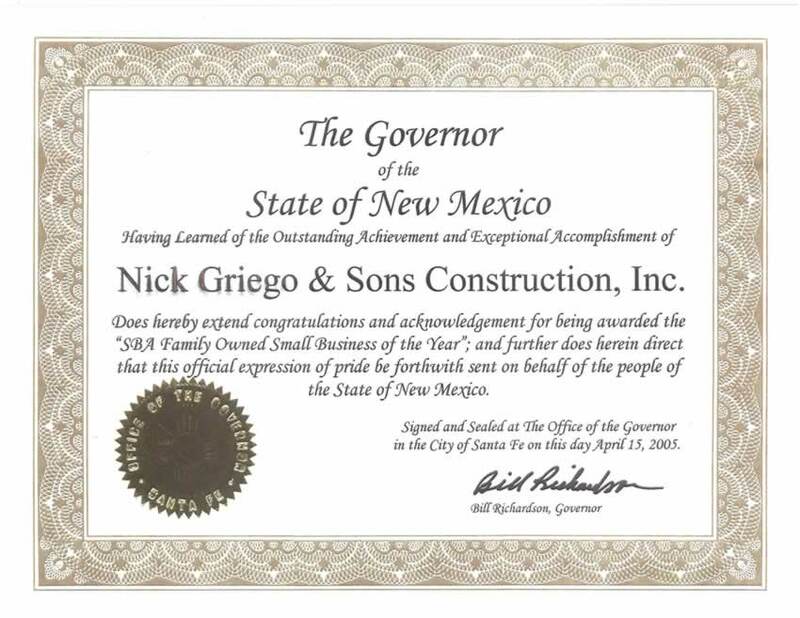 Nick Griego & Sons Construction, Inc. philosophy is to provide their customers with quality work. No action should be taken and no decision should be made which would violate this basic principle. Constant efforts should be made to continue the high quality and excellent appearance of all completed jobs. To maintain a safe working environment. Unified commitment to this philosophy by maintaining good communications and working as a team.